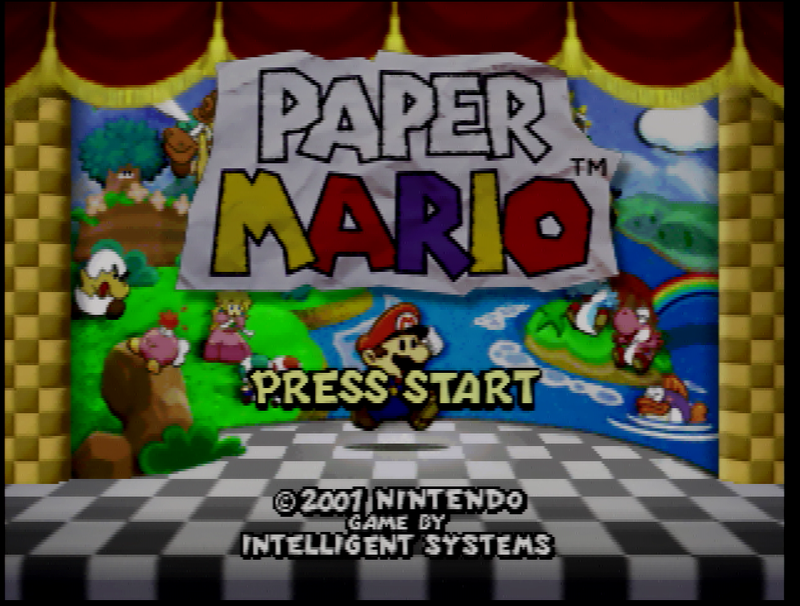 Below are some screenshots of the new UltraHDMI N64 mod in action at 720p output mode. We’ve tried to show the different scaling modes and how they all compare. There’s also a comparison shot of the mod versus the upscaling on an XRGB Mini. If you need to download these pictures for analysis, use the link here. Remember if you want one of these fantastic little mods, please contact us so I can put you on the waiting list. A full review of the unit can be found here. 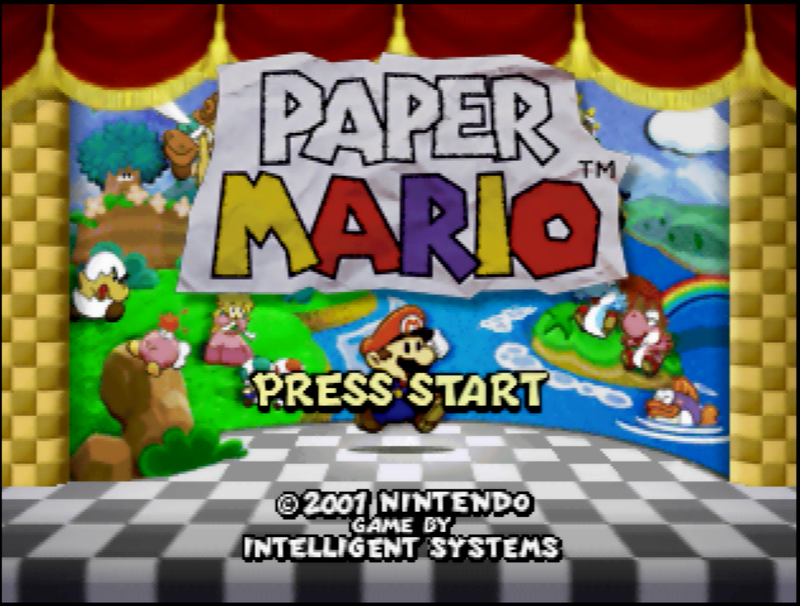 First of all we have the title screen from Paper Mario. 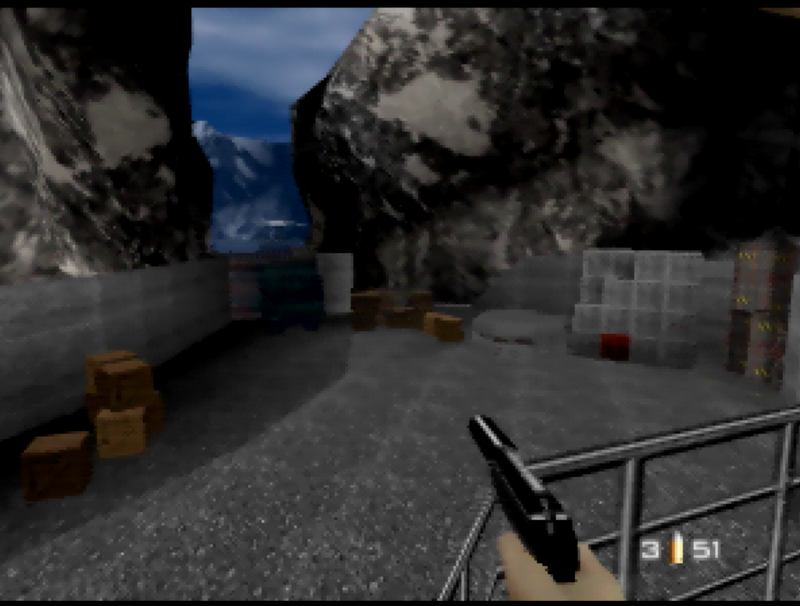 The left side of the image shows the standard image, the right hand side shows the de-blur filter in action. If you like your pixels REALLY sharp, here’s the integer plus scaling mode compared to the standard de-blur filter. The left side of the image shows the de-blur filter, the right hand side shows the de-blur filter and the integer plus scaling mode. Here’s a shot of standard de-blur mode versus the XRGB Mini. Left shows the XRGB Mini, right shows the UltraHDMI. The Mini actually holds its own better on this game than some others. 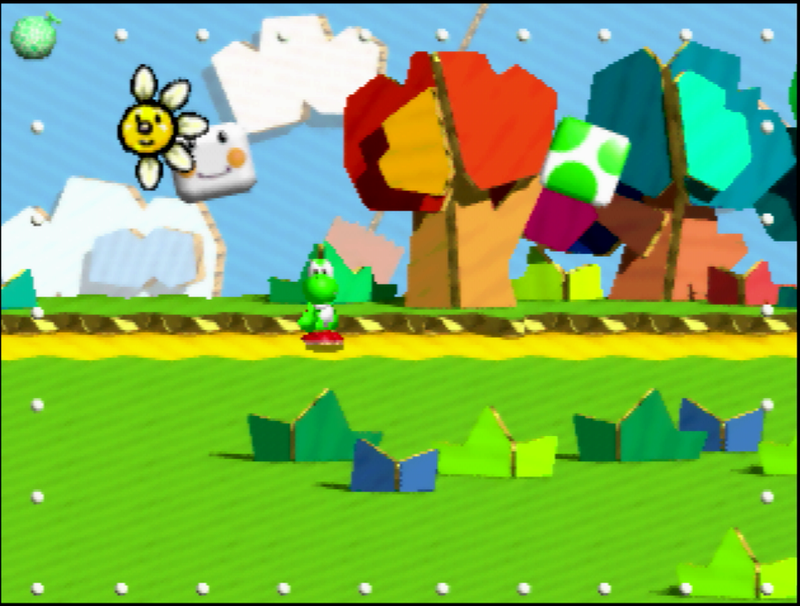 Here’s a shot from placid platform game Yoshi’s Story, the left shows the image without the de-blur, while the right shows the standard de-blur. Here’s Yoshi’s Story again, with standard de-blur vs de-blur and integer plus scaling. Standard de-blur on the left, de-blur and integer plus on the right. Obviously, many N64 games haven’t aged well and there’s not a lot you can do about that. 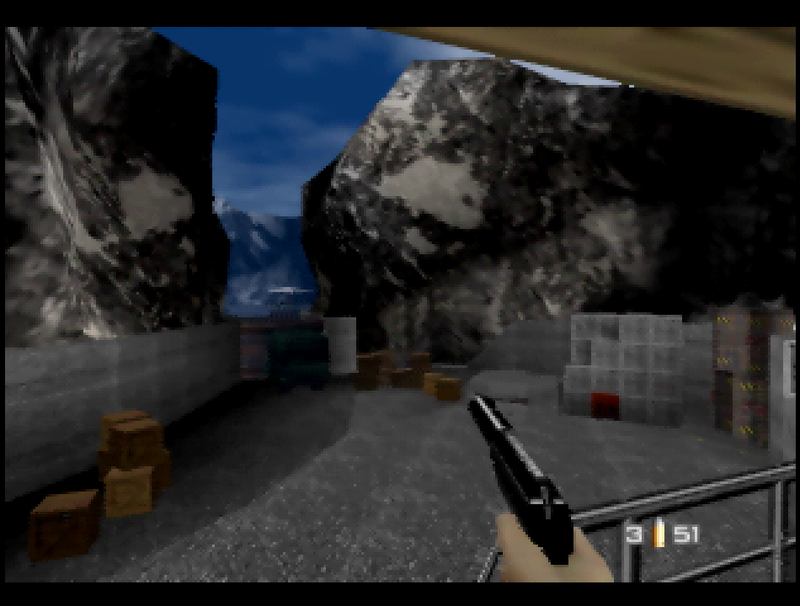 Here’s how Goldeneye looks in standard de-blur and integer plus, standard on the left integer plus on the right.